Dismal enrollment and budgetary woes worked in tandem to close J.M. Wright Technical High School in Stamford, Connecticut in 2009. 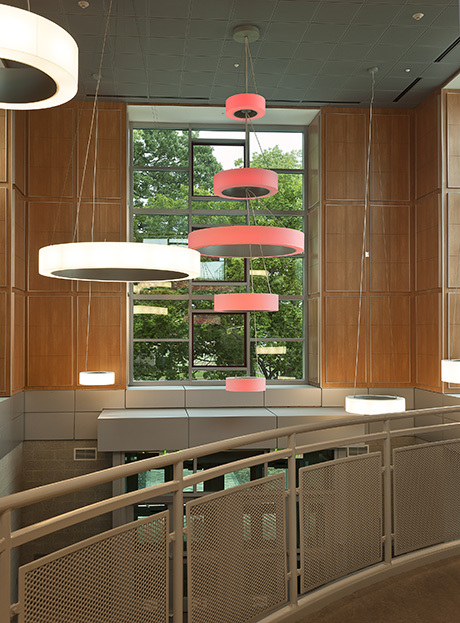 In the ensuing years the design team worked closely with the Connecticut Technical High School System to create a unique and rigorous learning environment that combines academics with various trade programs. The schools within the system prepare students for both post-secondary education and immediate employment opportunities that respond directly to industry needs throughout the region. 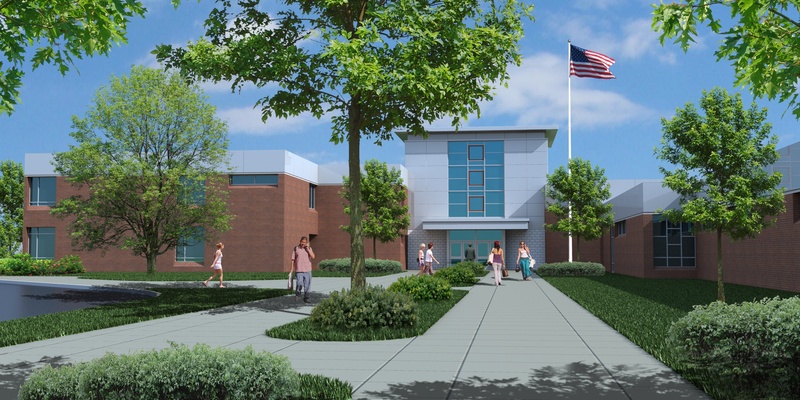 Renovations to the original school-in-a-park designed by Francis L. S. Mayers in the 1950s have given the shuttered school and nearby Scalzi Park a dramatic rebirth. 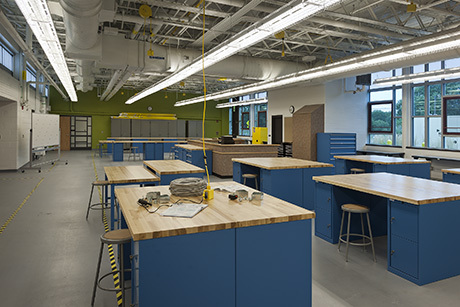 When the doors reopened in the Fall of 2014, 150 freshmen engaged in a variety of programs including automotive technologies, carpentry, culinary arts, digital media, electrical, health technology, hospitality/tourism, information systems, plumbing and heating, and facilities management. 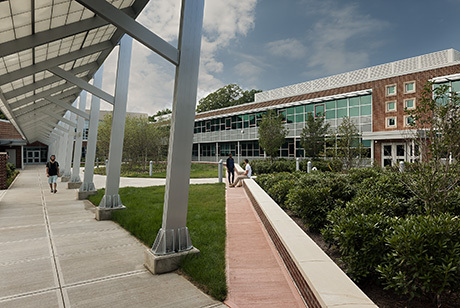 Programs offered are chosen through the school’s relationship with area community colleges and regional businesses to directly prepare students for in-demand career paths. 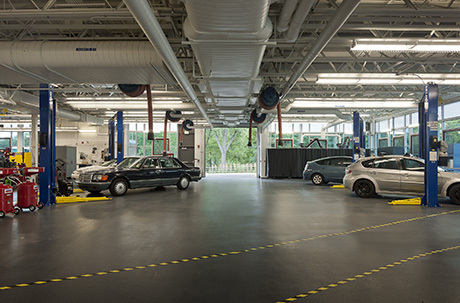 The facilities management program is the first-of-its-kind in the nation at the high school level. Other programs, like hospitality/tourism, digital media, and carpentry establish new standards that will be emulated statewide. 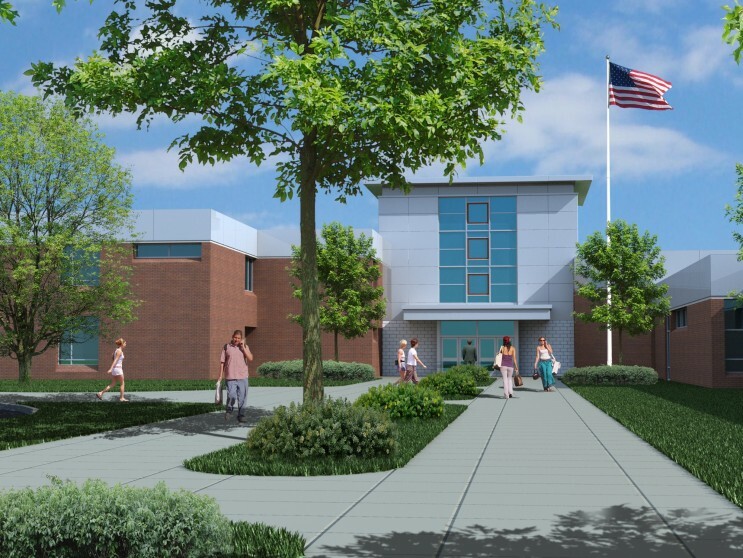 The school will eventually accommodate 700 students. 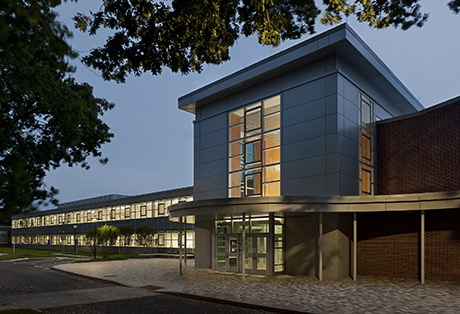 This $90 million LEED Silver project transforms the existing building into a 200,000 SF facility for modern technical and vocational education. 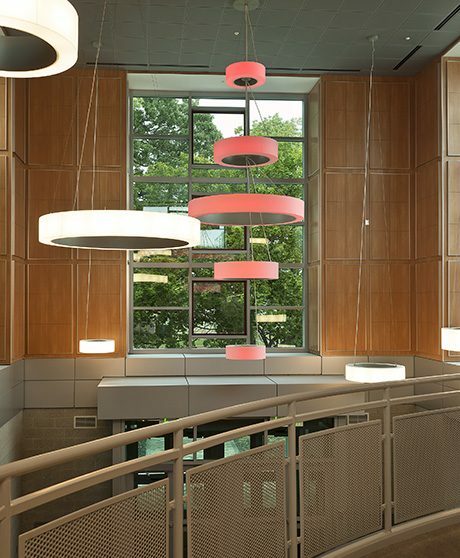 A priority was placed on delivering this project in half the time of any other technical high school project. Design and construction schedules were accelerated, requiring significant coordination and integration among the owner, architect, and contractor. 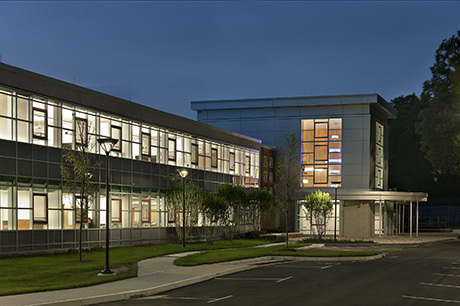 Thoughtful and diligent planning carved a well-lit, multi-story, unifying main street through portions of the existing building anchored at each end with new identifiable entry volumes. Clad in metal panels with vertical window bays, these new entry volumes emulate a modern corporate working environment. 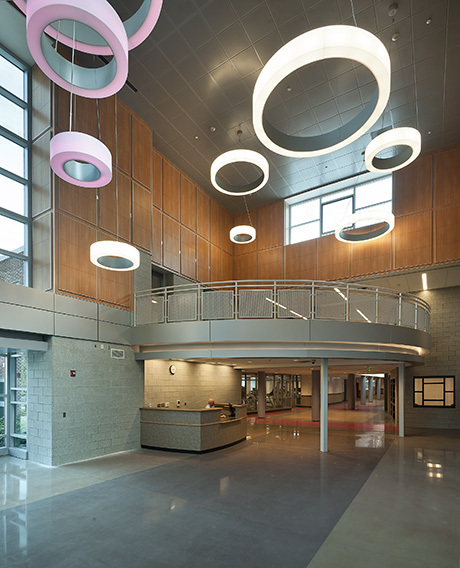 The project earned the 2014 Associated Builders and Contractors Excellence in Construction Award.